In this first episode of the Memberium customer spotlight series, Bernardo Feitosa from GraceSmith.tv walks us through how he built a very advanced (and AMAZING) membership site using Buddypress, Learndash and Memberium. Bernardo attended the last Membership Implementation Summit and to say the least, we were completely blown away by the progress he and his wife have made from implementing some of the concepts he had learned at the event. Note: Woffice is one of the rare themes that we don’t recommend. 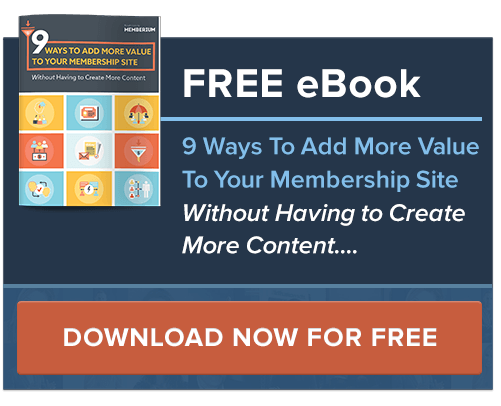 From our experience, it has some major design flaws, and as you grow your membership, it will become slower and slower when working on your site. If you start to see page edits become glacially slow, this is almost guaranteed to be the reason. It’s not a problem with Memberium or anything we can control, it has to to do with the custom widgets that Woffice displays to control page access, which cannot be turned off. For a similar look and feel, we recommend BuddyBoss Social Learner. We use it on our system and we’ve seen our customers use it as well. Micah: Hey, everybody, welcome. I’ve got with me, Bernardo, and he’s built a really cool site that I thought you would love to see. Bernardo, thanks so much for joining us. Bernardo: You’re welcome. Glad to be here. Micah: So, if you could, why don’t you show us what the experience is on the front-end for the user a little bit first, and then maybe we will dive into the back-end and see how you did some of that and some of the plug-ins that you used. Bernardo: Absolutely. So, I got the admin screen here. I’m going to go into the frontend as a user. I have a test user. So, this log-in page is pretty cool that I go straight into the dashboard, and you can see here how it’s all integrated with LearnDash and the information is pretty tight when it comes to what courses they’re registered and how far along are they. It’s a pretty cool platform and I’m excited to walk you guys through it. Micah: This is kind of cool. Are you saying that those courses on the right, those are LearnDash courses – with the X’s and the checkmarks? Bernardo: Exactly. And the basis of this website, the theme that I’m running on, is called Woffice. It’s a relatively new theme. It’s pretty user-friendly when it comes to the interface. I would say that it’s sort of running on a beta mode still because there’s tons of small fixes and bugs. For example, I have done at least 10 edits on the actual code of the website with fixes that they’re just catching. So it’s sort of a new theme, but I thought it looked so good that it was worth giving it a shot. And it’s totally working out to on our favor. Members are loving it. These are LearnDash courses, and I’m pretty much just adding it as a short code on the visual editor, and it pretty much just adds all of the courses and their statuses here. If you click on one of the courses, let’s say the Intro to Self-Hypnosis, you would go straight into the LearnDash page for that course. You see that the status is completed. Yeah, so you see these is all LearnDash. Micah: Got you. How did you get it to look the way it does on the home page? Bernardo: So, the homepage itself, the theme called Woffice, they do a pretty good job in terms of allowing you to fill the dashboard with any short code that you want. So, this here is a plug-in called EventON. That’s a popular event plug-in and you just literally paste the visual builder there on the visual editor. You paste their short code and boom, your calendar shows up. You paste a short code for LearnDash and boom, the courses show up. In a pretty simple way, a lot of information can be displayed on this dashboard. So it’s pretty cool. I love how it looks. My wife does a lot of Periscope, so we leave this dashboard here sort of as a way for people to connect with her when she’s live. When she’s live, this is red. So, people will just click here and then watch her live on Periscope. That’s the new way we’ve been building our business lately. Pretty interesting, cool platform. So this is how the dashboard looks and people are able to come here and see who’s online. This is also part of the theme together with BuddyPress, I’m using the plug-in. I used this theme sort of I just wanted try it out because it looked so good, and it’s pretty amazing how Memberium fit right in with everything that I was using. So, it’s pretty magical. I just had the Memberium set up and then, “Okay, I’m going to install this plug-in and see how it works,” and then boom, it works. Pretty much everything just fits right in and everything is communicating with each other. It feels really good right now the way that Memberium is interacting with Infusionsoft, with the different plug-ins that I have. People also have their own profiles if you click on them. If you see this – this is my profile – this is all running on BuddyPress. But we’re really taking it to the next level here – giving badges when they complete courses, a whole set up around that as well. Took me a long time to set that up, but I really think it’s totally worth it. And we learned from you guys at Memberium that this is really the new way to go. Instead of just presenting the content and letting people use at their own discretion without that interaction, we really influenced people to keep going and give that positive motivation, not only with reminders but they actually get things when they complete the courses that go directly into their profile. You can see here achievements. You can see the badges that the person has achieved. So everything is communicating with each other. I love how everything is set up. So, I’m really happy with the way this is working out. Micah: Yeah, it looks amazing. Tell me about that left menu. I’m guessing that came from the theme. Bernardo: Yes, totally. It came from the theme. They have these widgets. They look really cool. They’re sort of animated. This is from the theme. The theme is installed, you just pick a few icons and you’re all set up. This is our main area – the library. This part – I really have to thank you guys at Memberium, and Dave who really helped me out with setting up what we have here, what we call the credit system. The problem that we had in the beginning is that we have all these courses and people were feeling overwhelmed about “Should I do this one? Should I do that one?” And then, they might end up not doing any of them because they are just overwhelmed with so many options. So what we have right now is that each month that passes by, they get 50 credits and each of these advanced courses is 50 credits. So each month that they stay a member they can unlock an advanced course. So just as an example here, the Ultimate Anxiety Relief course that we have can be unlocked for 50 credits. All of these courses are pretty long, sometimes 14, 21 days, so it makes sense that we give 50 credits each month. So you can see here, this is just a custom field with Infusionsoft. They’ve really helped me set that up, and you can unlock the course for 50 credits, and then custom field on Infusionsoft is updated with a matching set – pretty interesting way that that is set up. So then you go directly into the course, and then if you go back to the library – I just set these up, so let’s see if they’re working as they should – so you see, now that I have it, my tag is updated and boom, I have the access now instead of the unlock photo there. So, we love the way that’s set up. Just very few people want to have access to everything all at once. We’ve had maybe about 2 to 3 people that are like “I just want access to everything,” but we found that this really helps with the actual use. People give value. When they unlock the course, they feel more serious about completing it because then they want to go to the next one. We found that pretty useful in keeping the members. If they cancel their account for any reason, then any courses that they’ve unlocked become locked again. We give that extra motivation for them to stay as members. They accumulate courses, 50 credits each month, and they also unlock all these courses. But if for any reason they want to leave, we go back to all courses are locked again and you’re back to zero credits. So that’s another way to truly motivate people to stay for the long haul, and we think it’s been working out. That’s my wife’s idea. She just walked by and she smiled at me because I was a little resistant to implement that idea, but she really felt that it was going to be a good thing to do. And we just went with it and it’s totally working out. Micah: Right. I would imagine you were being resistant because that’s kind of a technical hurdle, and I know what it takes to put that together. So that’s awesome. Bernardo: Yeah, absolutely. We were using OptimizePress before. OptimizePress was a little simpler in a way to set up – the action sets and the visibility short codes around the buttons – but this new theme, this was hard work. I know you helped me, but I spent many hours here having to not only set these up. Each one of these is a different code and having to test all of them with a test user. This right here was quite a few nights of work, but it’s totally working out. Micah: That’s awesome. You can’t feel bad about that though. I can honestly say this is one of the best designed and laid out sites in the whole concept of the credits. Bernardo: Yeah. I really remember what you said in one of the last event that the first thing you do is just the simplest possible, right? And this is kind of how we did it. When we first launched, we literally had just the programs there, and I don’t feel like we tried to go all in and put all the features at the same time and have the perfect membership website, but every few weeks or so, “Let’s try this, let’s try that,” and over time, we just really added each one of these features, each one of these concepts, and now it’s really becoming something that’s even more powerful than we could even imagine. Micah: So, could you do us a favor and take us into the back-end and just show us some of the theme name and the plug-ins because I know you mentioned the name of it, but that way we can see how it’s spelled. I’m sure people are going to be looking it up. Bernardo: Absolutely. Here is the admin page. When I first installed this theme, I had no idea how everything was going to work out. I just thought it looked really good, and like I said I just wanted to give it a shot. So, BuddyPress is pretty important for that theme because there’s so many community features. Let me actually just go to the plug-ins page, then you can see an overview of the plug-ins. There’s quite a few of them, but pretty much all of them are essential because there’s so many things that play at this point. So, Memberium is obviously running there. Another thing that Memberium really allowed us to do is to really be on top of the customer service because we started using Intercom, and I have it up here. I know that David set up that integration with Memberium-Intercom, but the way that this worked out – I’m just going to put myself here, so I don’t go into someone’s profile. So this is my own profile. Memberium is sending out so much data about each customer to Intercom that really helps in the customer service and really making sure that tracking your members how they’re using, how much they’re using. You can see here that all the tags from Infusionsoft they go into intercom, so I know and I can sort members based on their tags, if they have a free trial, or if they have this type of membership. And then you can have all these messages that are sent to them, targeted based on what tags they have. These messages that just pop-up on the screen as a user. Normally there’s a blue widget here and you just click on it and there’s a chat that you can talk to customer service. We get that as a text notification, so we usually have a fast turnaround on that. So it’s pretty interesting. So coming back to the plug-ins, the LearnDash is pretty essential for the courses. I had to make sort of a decision here because I used to have all my courses on a Digital Marketer design where one course was in one WordPress page and you would just click on the different modules, and they would just pop up sort of as an accordion feature and it would be on the same screen. That was so easy to set up because it was one WordPress page and I would just drag and drop the modules and the files. With LearnDash, the challenge was that each module was one different WordPress page and that usually takes me a lot longer to set up. But we made a judgment call because we want to be able to remind our people, we want to be able to know where they are in the process and that we had no idea before. We were in the dark in terms of what module they are, what course they are in, what they finished, what they haven’t finished. So, this just added a lot more power to be able to help them finish, and we’re really focusing on how much our members are using. That’s all we’re focusing on right now – getting people to use and getting people to see the value in what they’re using very quickly. Before, we were just, “Let’s get more members. Let’s get more members,” but we really noticed that just having people use the course and having people use the modules and actually go through them is the most powerful thing to be focusing on. LearnDash really helped. EventON plug-in that came actually for free with the theme, which is pretty interesting because it’s actually quite an expensive plug-in – a few hundred dollars to get the full calendar, so people can see what days are the Periscope. They can even RSPV. They can get email reminders, and put it on their calendar. So, that’s pretty interesting as well, and it’s all the EventsON plug-in. BuddyPress really runs the whole community features. I’m just going to show you something on this page that’s pretty interesting from BuddyPress. This screen is pretty interesting. BuddyPress has so many features of community building and engagement. So we have all of these features turned on except Friend Connections and Private Messaging because we thought it would get a little bit convoluted. Private Messaging could get a little weird between members. We wanted to keep the focus really straight on people just completing the courses, sharing their success, getting their badges – but you can. You can literally have people live chatting with each other inside your site and being friends with each other. So we can literally run a full blown social network with BuddyPress inside your membership site, and all running on Memberium. I was a little confused in the beginning because actually, if you see here, you actually have a profile on BuddyPress. So current password, change password, new password, this is all from BuddyPress. BuddyPress generated these fields. So which one was the Infusionsoft password that Memberium knows about, the one that people log in with, then people can just change this one. I tried to change it and it just works. So this BuddyPress change password goes straight into Infusionsoft. I feel like everything just pretty much works like magic when everything was put together like I said. So people with extended profile, account settings, activity streams – you can see what each member is doing, or not what each member was doing, but the activity from the whole site – if people completed the course, joined the group, this person earned a badge so I can come here and say congratulations. We still have to really set up the rules to be sure that people are using it more, but we just decided to launch this. You can see when each person completes a course, earns a badge, joins a group, when they comment. So this is the power of BuddyPress. The interesting plug-ins that I found out later that totally changed the way that I was doing this is that there are a few plug-ins that integrate BuddyPress with LearnDash, so that BuddyPress knows the courses that they’re going through. So this is pretty crazy to think about. You can come here and go to your profile – so this is my BuddyPress profile. They know my LearnDash courses, the courses that I’m set in, which I can cover in a little bit – the badges. So they know, that is, they’re talking to each other. So that’s pretty interesting. So that’s the BuddyPress for LearnDash. Micah: Let me just ask a quick question because you said something earlier about starting basic and then improving as you go. What are some of the results you’ve seen through the game application, the community, the Intercom and all that. Where were you when the site was really simple versus what has changed? Bernardo: I feel like we’re getting more passionate members. Any time we post a new feature or a new badge, people are finally really behind us. Before we had quite a good number of members, but we had no idea how they were feeling about us and we didn’t know how much they were using or how passionate they were about it. Now I feel like we’re sort of building this army and we can fully see what they’re doing and track it and interact with them in the process. So people are a lot more stoked about the whole process. But now, there’s so much there for them that everybody who’s leaving is just, “I really like this. You guys are doing a really great job, but I just can’t afford it right now.” The responses are totally different. We’re getting positive responses all around. Before we didn’t know – “Oh, maybe next month.” Almost everybody cancelled because they don’t know how they’re feeling. But now, we feel like we know, “Okay, we have least these 100 or 120 people who are really loyal. We know that they’re going to stay because they’re using it, they’re liking, they’re interacting. So that knowing is really powerful not only to plan your moves and track your business, but also it just gives you a sense that you’re really helping people out in a powerful way. Micah: That’s awesome. Has it affected the way you market or the way you bring in people as well or just on the backend? Bernardo: Well, yes. We launched the website without changing any of the sales pages. We used to be called Grace Smith TV Premium. But we just wanted to launch and we’re like, “Well, we’re going to make the changes later. Let’s just do it.” How do you say that expression – ready, fire, aim? We were taking that literally. So we just launched this and our sales pages still say the other branding. We’re still changing it as we go. We’re changing our Infusionsoft campaigns, but the way that we’re bringing in that is different is that we have our freebies, our lead magnets. They are part of the library. They are part of our membership website. Every single lead that we get, in order for them to consume what they opted in for, they have to log in to the membership website. When that happens – let’s say they got the Deep Relaxation in 3 Minutes, and that would be unlocked because they requested it on the landing page – all of these other courses are going to be saying “Unlock this course for only $1” and then we give them a $1 trial for a 30-day membership – a $1 trial that automatically upgrades. So if we actually come here into my LearnDash, we have 4822 students because there’s that many people enrolled in courses. Some of them are just lead magnets – the free download that they opted in for. But it’s really powerful to have that member base that isn’t not necessarily all the paid members, but there’s a progression going on inside within the site itself that everybody has to log in. That changed because before it didn’t look that good yet, so people would still login to the membership site, but it still didn’t have this amazing focus into unlocking everything else for $1. We only set this up now in this new interface. Micah: Now that is Genius. So your improvement to the member’s area which happens to also be the lead magnets is, I’m sure, sure boosting your conversion because they come in and they’re like, “Oh, I like this. I want more,” and all that. Bernardo: Yeah, absolutely. They can complete the course and they actually get a badge on their profile so they have a feeling that they’re members of a community already because they have their profiles. They can be one of the live people here. They can participate. They can see the schedules. So, we call them a part of the community already. And if they want to unlock the full power of the community, then they can get the monthly membership. So, that’s been a really powerful way to increase our member base. Micah: I’m sure you’re just adding a piece at a time and you may not realize this yet, but this I pure membership gold [inaudible] [00:26:42]. Bernardo: Yeah. I mostly learned from you guys and just implementing it slowly, finding the tools that work. So it’s just really trial and error. I really owe it all to you guys. Micah: Well, you’re the one doing the work. What else do you think you want to share. What else is cool in here? Bernardo: Let’s go to the My Account page. This is pretty cool. We just implemented it actually. On the My Account page, when you don’t have enough credits, you can actually speed up the process and instead of just having to wait for another month to go by, you can come here to a page and add more credits. You can buy credits for dollars. It’s not everybody that does that, we had maybe 5 people do this, but we thought that it was pretty powerful when they did it, that they can buy 50 credits for $47, 150 for $125, 500 for $375 and then they can unlock all the courses at once if they really want to. We give them that opportunity to speed up the process. We think that’s pretty cool. If I click here, there’s going to be an action set that’s going to run and charge me $47 and then add 50 credits to that custom field that would then be updated here on the My Account, and this will be updated as you buy the credits. So, we think that’s pretty cool. Changing their billing info right here – we didn’t have that before. Adding this was actually really helpful. We don’t have an automation yet for the credit cards that are declined, so right now I have to do it all manually. But now that we have a lot more members, it’s starting to get a little challenging. So I have to set that up and see the training videos on that. Something that we just implemented that we think is pretty cool – when they want to cancel their account, what used to happen before, they would email us and we would just cancel because we do that with no questions asked. You can cancel for any reason. It’s about a minute long – do you want to hear it or can I just go over what happened? Micah: Just tell us what happens. She goes over those objections and only in the end, a button comes up on the screen. It just says, “Are you sure you want to cancel?” They click on that. They’re still taken to another page that says they’re going to lose all the credits, everything that they have unlocked, “Are you sure you want to cancel?” Only then, after they press that button, I get a notification on Infusionsoft to cancel their account. We just thought that was a good idea because our field is a lot about overcoming mental blocks and things that may be holding you back, and there’s a lot of patterns when it comes to dropping out of things that you said you were going to do. After they go to the next page, if they really want to cancel, we actually say that if they’re going through a financial hardship, they can apply for a $1 a month membership for another 30 days. I just helped two people yesterday – giving them scholarships. They were just going to cancel, but they said, “I love it so much. I just really hope you can give me a scholarship just for this month. I’m going through a tough time.” We helped these two people and they’re still members. They said they’re doing their best to be able to maintain their membership. We just thought that was powerful – it’s so rare. We’ve only had one member in our history that left and then came back, chose to come back to the full membership. So we were thinking, if we can keep the members, even if it’s for another $1, but keep them as full members, they’re going to be on the auto bill, we feel like that’s the most important because if we lose them, we lose them kind of thing. We have to get a campaign in place that we can get the members that had left, but we’re just doing everything we can to keep as many members as we can. Micah: To everyone listening, there’s a couple of components to what he just said. One is, first off, they have a great membership site. There’s a reason to try to save the cancel. And the other one, I’m a little familiar with that space as well. And, yeah, people, when they’re going through that type of thing and aiming for a breakthrough or change or whatever, a lot of times it is a lot easier to bail out when they’re going to get that change. So, she’s not doing this. I’m sure you guys are not doing this – “Let’s keep their $50 or whatever.” It’s about helping a person through that. I’ve dealt with some organizations that do this kind of thing like cancellation saves where it’s really not about the money. It’s about helping the person because they do have that pattern of not helping themselves. It’s much easier to not make the change than to make it. And so, I think that’s really cool if it’s done in the right way. Bernardo: Yes, absolutely. And this is what really my wife focuses on. Because if they cancel, it’s so rare that they’re going to come back to get the help that they need. Most times they just bail out all the way. And to bring them back into completing the course is actually really rare once they cancel. So, we really know the power when people complete these courses that are really changing their lives. So, we focus on that. Sorry I kept it on the business sense because that’s what I was talking about, but this is really the most important – just to really help people out. Because we actually have a message that went to all the members that we just said, “When you signed up, you had a goal in mind or you wanted to accomplish something. Are we helping you accomplish that?” We’re always trying to get a feedback. Are you accomplishing what you wanted? When you first signed up, you had that reason in your head to sign up. Is that being fulfilled or are we helping you fulfill that? That’s the most important for us. We have the Facebook group right here, where they can go to our Facebook group. And just one last curious thing that we did yesterday – we had about 100 people who had $1 trial expiring today. We did a large webinar with an affiliate, and about 130 people or so got the $1 trial, and all of them were expiring today overnight. We sent out an email yesterday that was pretty bold that just said, “Your $1 trial is about to expire. We hope you had a chance to enjoy the website. But if you haven’t, you still have a full day to try it out.” And then we said, “If you choose to continue as a member of Grace Space, here are all the new features and all the reasons why you should.” And there were about 8 things. We were pretty bold on those things because we really wanted to have people stay and have people enjoying instead of just bailing out after the trial. I’m actually developing an app that’s going to be just going to have a few recordings like “Pick me up” and hypnosis recordings. That’s going to be launched on Monday. And we said, “If you’re continuing membership, you’re going to get the app, but if you don’t, unfortunately the app is only for full members.” So that was one of the things. We’re also giving them a book. We are shipping them a book if they stay a member. The book is not expensive, so it’s worth it but it’s still going to get a lot of work to ship everybody a physical book. We just gave that nice reward if they choose to stay members. The opens were pretty high in the emails. We got maybe about 20 to 25 cancels over the past few days, but everybody that stayed made a conscious decision to stay. And we think that’s a lot more powerful than just having a lot of people that just let it pass and don’t remember. So having people that are making conscious decisions to stay and use the site and consume the material, that’s what we’re really valuing right now. I think that’s one of the things that I can think of in terms of the different things that we’re trying out now. Micah: That’s awesome. Well, I’m sure there’s probably a couple of other things that we can go into, but I think this has been amazing. I really do appreciate you showing us through that because that’s a lot of work. I mean even just the plug-in selection, the trial and error, finding the right plug-ins that work and the things that gel together. So, I think people are really going to appreciate that, so thank you again. Bernardo: Thank you. This is great. I’m so thankful that Memberium allows for so much power and so much connection within all of these tools and platforms. It just seems like anything that I install, Memberium will take care of it, and the membership site will be running smoothly. This is just great. I think that if we didn’t find Memberium, we’d probably be in CustomerHub with one feature at this point in our site because that was what we were choosing on in the beginning. There is so much it can do. It’s endless with Memberium. I just want to say thank you for all the work that you have done to put this together. Not only put this software and the tool together, but educating us on how to use it. The support is just incredible. Anytime I have any questions, you guys are so helpful and always helping me to move to the next level. I think this is a great relationship. So, thank you, guys. Micah: Of course. I wish to give a shout-out to Dave because he is like a Jedi wizard for making it, right? Bernardo: Exactly. Dave is amazing. Micah: Well, thanks so much. Well talk to you soon, Bernardo. Appreciate it. Bernardo: Thank you. Talk to you soon.